Looking for big savings at the PX? They’re easy to find – when you join MyMilitarysavings.com. We are the #1 military shopper website dedicated to finding ways to help our military families save as much money as possible. Our dedication to our mission stretches back 25 years, and we work hard every day to help those who choose to live a life of service by offering exceptional coupons, discounts, and savings at the PX, BX, commissary, and other shopping venues. We offer printable coupons for easy savings on popular items. You’ll find featured promotions on items of all types on the “My Exchange” page. You’ll have one-click access to the exchange store websites, where you can shop online and enjoy your savings immediately. 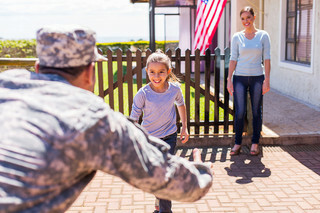 Plus, joining MyMilitarySavings.com means you’ll be part of a lively online community of fellow military members and spouses who understand the challenges you face living a life of service. Whether you’re stateside or overseas, your membership gives you instant access to new friends who will share valuable information, useful advice, delicious recipes, and more. We even have active Facebook and Pinterest pages! For more information about how MyMilitarySavings.com can help you discover exceptional savings at the PX and other stores, join us today. Just head over to our sign-up page – membership is free and easy, and guaranteed to help you discover more ways to serve, save, and enjoy!